Friday the 13th usually occurs twice a year, generally conjuring up a variety of meanings to different people, including unlucky superstitions, religious connotations and even a horror movie franchise. But after Friday, April 13th will sadly include a new memory. Yesterday, Art Bell, the founder and original host to the syndicated late-night radio program, Coast to Coast AM, passed away. Known for his patience and calm demeanor on the air, no topic was too extreme to discuss on his radio show. His was the first and most popular mainstream program to broadcast conspiracy theories, ghost stories, paranormal topics, UFOs, urban legends and the unexplained, offering a serious forum where guests and callers were never ridiculed. For years, Bell never screened any of the incoming calls to his show, making his Open Lines segment one of the most popular and always a can’t-miss event, if I was ever awake late enough to hear it. Arthur William Bell III served as a medic in the U.S. Air Force during the Vietnam War, but throughout his life, he was constantly drawn to the audio medium. From getting his amateur radio license at the age of 13, to operating a pirate radio station at Amarillo Air Force Base, to setting a Guinness World Record for staying on the air as a disc jockey (116 hours and 15 minutes), to owning and operating his very own radio station, Bell was much more than just a radio host. Overcoming a number of personal obstacles, Bell retired and returned to the program which he popularized multiple times, much to the relief of his fans. Along the way, he created side projects, including Dreamland, Somewhere in Time (which featured classic shows) and after his final Coast retirement, Art Bell’s Dark Matter on SiriusXM and Midnight in the Desert via TuneIn and various terrestrial radio stations. When I lived in California, I listened to a TON of Coast programming. Back then, George Noory had already taken over hosting duties, but I relived past events through Bell’s classic shows. Both hosts offered different but enjoyable styles that made listening to the show highly addictive. In fact, whenever new scientific breakthroughs or randomly related pop-culture events happened, tuning into the show instantly became appointment listening. During the holidays, when practically every other radio host takes a vacation and their respective programs air “Best Of” shows, Coast always seemed to air new shows with Bell (and now Noory). You could always count on him to bringing a different and usually an enjoyable expert guest onto the radio to discuss random topics. It was easy for Bell to keep you company, late at night. My all-time favorite time of the year is Halloween, and during this seasonal time of year, the program turned into Ghost to Ghost AM, often featuring different paranormal topics and ghost hunters… along with a more focused Open Lines segment (my favorite!). Living in a 100-year-old house that may or may not be haunted, these topics interested me the most. Each year, I looked forward to hearing these topics and Art Bell made them accessible. Having moved away from California, I no longer listen to Coast as much these days (must sleep! ), but I have recognized Bell in a variety of other media, including TV shows, documentaries and even books. He wrote The Coming Global Superstorm, which the movie, The Day After Tomorrow, is based. However, his appearance in Chris Carter’s X-Files sister series, Millennium, will always pop into my head whenever the name Art Bell is mentioned. It was a great homage to the man, the myth, the legend that can be rewatched by future fans, those who never got the chance to hear him hosting his iconic radio show. 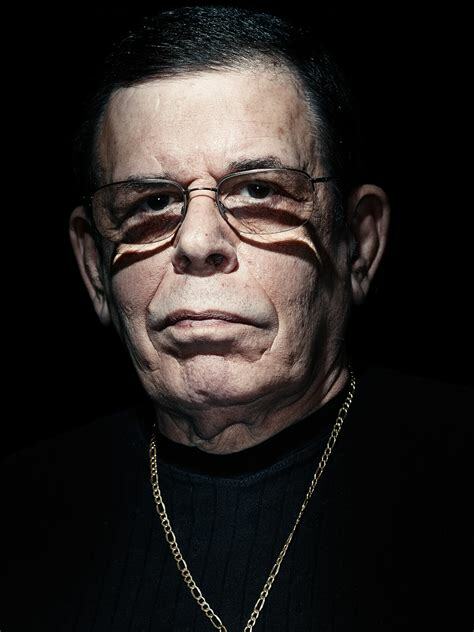 Rest in peace, Art Bell. You will be missed.